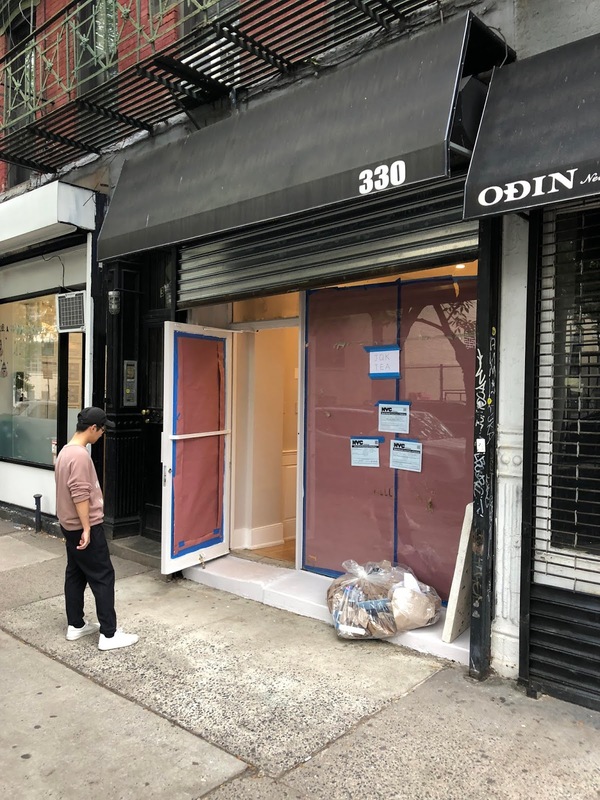 An EVG reader shares this photo, showing storefront renovations at 330 E. 11th St. between First Avenue and Second Avenue. A small sign on the front lists the name as JQK Tea. The cafe's placeholder website lists the business name as JQK Floral Tea. This space was previously home to Fair Folks & a Goat, the coffee shop and boutique, which left in August 2017.